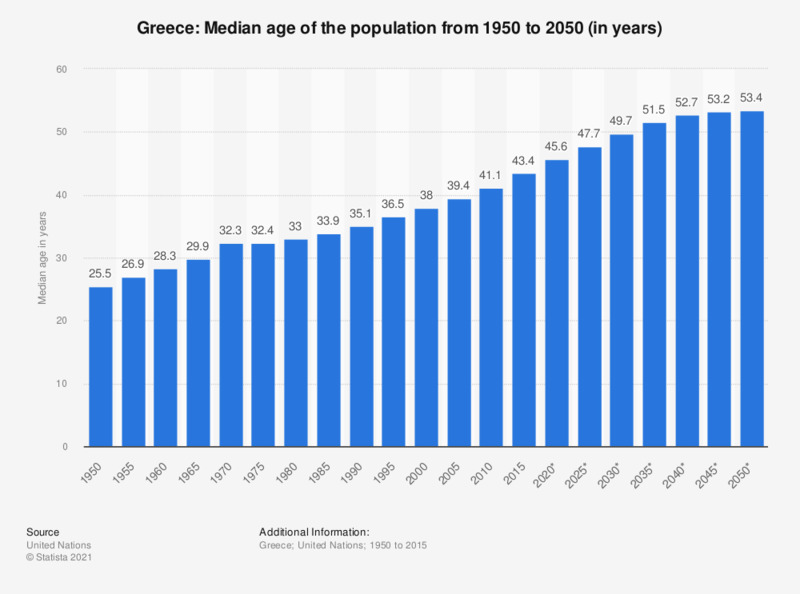 The statistic depicts the median age in Greece from 1950 to 2050. The median age of a population is an index that divides the population into two equal groups: half of the population is older than the median age and the other half younger. In 2015, the median age of Greece's population was 43.3 years. See the Greek population figures for comparison. According to the source, figures have been based on a medium variant. How much influence, if any, does business have on your future happiness?